I’m surrounded by talented people, and I want to highlight a few of my community members that are pursuing their passions and inspiring me to think bigger about my own projects. Each of these people are trying to follow their muse and make the world a better place, and I think that’s an admirable goal. It takes guts to start a new project or venture, to build something up and then to share it with others. Here’s hoping that you take some inspiration away from this to begin pursuing your next big idea. Michael has been a good friend of mine for years, starting at the co-op that we both worked for. He’s a talented teacher, yogi, personal fitness instructor, raw foodist and has a wealth of information about nutrition and health. I’ve picked his brain for help with a fitness program and diet and detox questions, and he’s always ready to help with knowledgeable and practical insights. If you need a coach or consultant for health, fitness, or diet, you should definitely get in touch with him. He’s in Fort Collins, Colorado, but does consult via phone or email. Check out Alternative Personal Training or his contributions to Raw Vegan Fitness. I like bikes. A lot. I think it’s a great way to experience the world, to be out in nature, cruising down the road just by spinning your pedals. 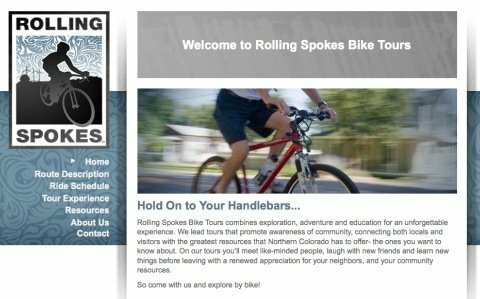 Another of my friends (also from the co-op I worked for) has teamed up with another biker-type gal and formed a bike touring company, Rolling Spokes. Based in Fort Collins, Colorado, Rolling Spokes hosts treasure hunt rides, urban chicken coop tours, edible urban garden tours, farm tours, family adventure rides, and more. 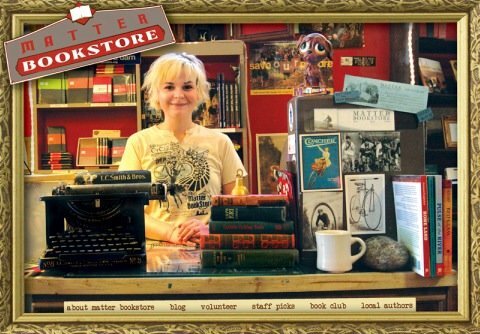 My friend Christa is professional, charismatic, and passionate about her business, and I heartily recommend checking out Rolling Spokes for your next (or your first) tour. If you just want to get involved, they need some volunteers: “seeking, hard working, bike loving, community building folks to help out on our rides.” Head over and get more information from Rolling Spokes. Another of my friends (also from the co-op) has started a sourdough bread blog which documents his bread-baking successes and trials with a one hundred year-old strain of sourdough start. Chad is also very active in our local food scene and is involved in a big way with a local non-profit farm project, the Growing Project (no website yet, but follow along on Twitter if you like). He’s passionate about local food issues, co-ops, and bicycles, and has been known to jump double dutch for hours… Chad also runs the Twitter account for the co-op, so follow along if you like. I must confess, I’ve never played disc golf. <gasp> But a buddy of mine is all about it: playing in tournaments all summer and helping to keep the Northern Colorado Disc Golf Club running smoothly, including being the webmaster for the club. KC is a sharp guy with mad amounts of people skills, and I’ve never seen him act even halfway upset, which is a huge thing in my book. Maybe he just hides it really well… [lol] If you’re into playing and competing in the disc golf scene, check out NCDGC’s site for info on the area’s disc golf courses, event schedules and results. I remember this guy talking about starting his own ‘zine one time, and making his way in the world of words. It didn’t seem like a big idea at the time, but now he publishes a very classy quarterly, runs a non-profit and a bookstore, and hosts poetry slams, all at one of our favorite local coffee shops, the Bean Cycle. Todd’s been an adventuring buddy of mine on our boy’s river trips down the Yampa and the Green, so I can attest to his infectious sense of humor and creative mind. With his quick smile and easy-going nature, he has boosted the local writing and activism community immensely. Go find out what Matter Journal is all about, and if you’re a writer, think about submitting a piece for the next issue. Wolverine Farm Publishing and the Bicycle Army. If you’re a social media kinda person and you like what these people are doing, please head over to their site and give them a Stumble thumbs-up. Tweet the link as well if you’re so inclined. My first time on your blog and had some fun following the links of your suggested sites. 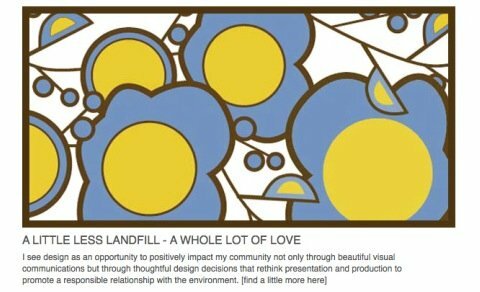 I found your site by following the blogroll of greenlivingideas. Good stuff! great post. one thing about being in Orange County CA, is its really tough to find a good community to be a part of, we’re all in to big of a hurry. Well they say you are defined by 5 of your closest friends. It’s good to be surrounded by awesome people. .-= Thomas´s last blog ..SmartCat Bootsie’s Bunk Bed and Playroom for Cats =-.